YOUR SAY: Your article "Region fights to save army bases", April 7, quoted local claims that turn logic on its head at best. The assumptions behind the claims are that the necessary strategic dispositions of our defence force are somehow unimportant or less important to Australia's defence than the perceived economic input of any base locally; and the Australian taxpayer should subsidise the existence in perpetuity of local ADF bases even when they are no longer needed strategically or operationally and/or are unnecessarily expensive to continue maintaining there. The real question, however, is surely why the rest of Australia should continue subsidising un-needed and financially inefficient ADF bases when modernising our defence force means the limited funds available are better spent on priority tasks. In the case of Borneo Barracks, Cabarlah, the strategic and technical reasons for that location no longer exist. The major unit concerned is now better co-located with similar units already at Edinburgh in South Australia. Cabarlah is also effectively an expensive single-user base. It would be much cheaper to relocate the two units concerned (one quite small) to larger, multi-user, bases where the numerous supporting services can be more efficiently shared. Urban encroachment on Cabarlah also makes the base increasingly unviable. (Your claims that tiny Cabarlah could be a "super-base" and that the ADA once suggested this are just plain wrong). In the case of Swartz Barracks at Oakey, allowing the recent construction of a private airport - in the previously low-usage flying area underlying the base's positioning in the first place - also now risks the long-term viability of the Army Aviation Centre and its primarily flight training role. In both cases, short-sighted or worse development planning by local authorities has further strengthened the argument for base relocation - not retention. 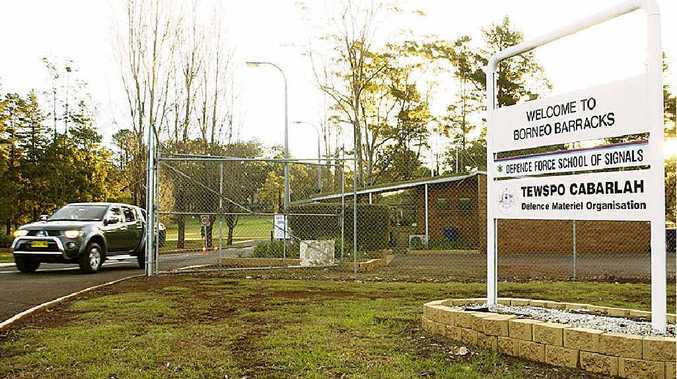 Instead of repetitive and flawed parochial bleating, and knee-jerk responses from local mayors and MPs, it would be better for the communities involved to instead initiate long-term plans for new uses of the Cabarlah site once the ADF inevitably leaves. And if (or when) the new airport throttles flight training at Oakey.